Get the motivation you need to stay healthy and be well with these quotes! We all know how important it is to stay healthy and in shape, but doing it on a daily basis can be difficult and sometimes feel impossible. Everyone has those times when you feel a little down and need that extra push. Motivation can get us started and keep us going. Whether it’s a particular type of music, someone you want to impress, or your own desire to take care of your body, sometimes that motivation isn’t enough and at some point we need some help. We are going to share with you some of our favorite quotes about wellness to help give you that assistance. We love sharing helpful hints and tips about wellness and practicing healthy habits day-to-day. Our commitment to keep the community healthy is a priority, which is why we wanted to share our top 5 quotes that have helped us get moving and stay strong with you. Here we go! 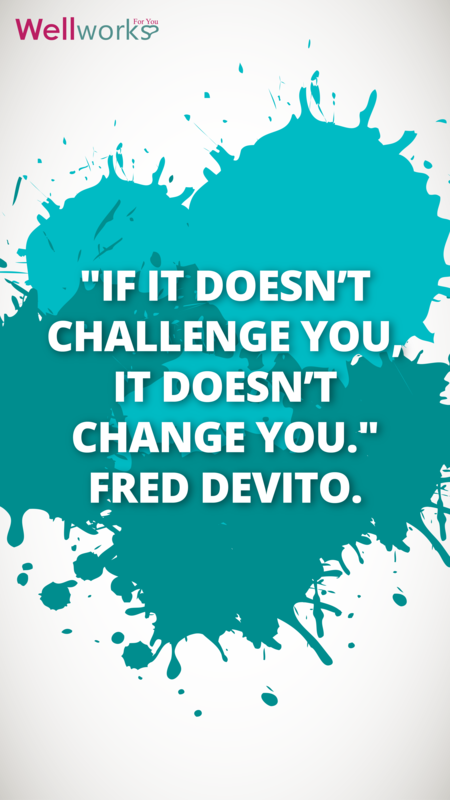 “If it doesn’t challenge you, it doesn’t change you.” Fred Devito. You need to push yourself and you need to push yourself a little more each time. The challenge, both physical and mental, will change you for the better. Get the Wallpaper! “Of course it’s hard. It’s supposed to be hard. If it wasn’t hard, everyone would do it. 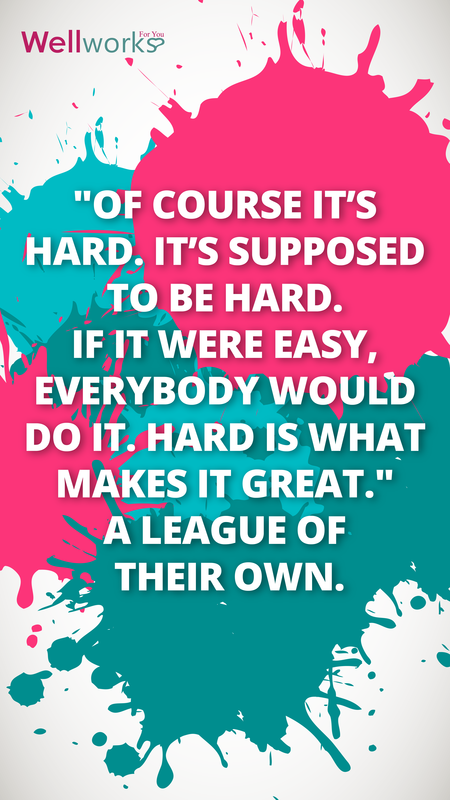 The hard is what makes it great.” A League of Their Own. We know it’s from a movie, but it really is a great quote! Sticking with just about anything is difficult, let alone working out and staying healthy. Just remember that it’s hard for a reason and it will get easier. Stick with it! 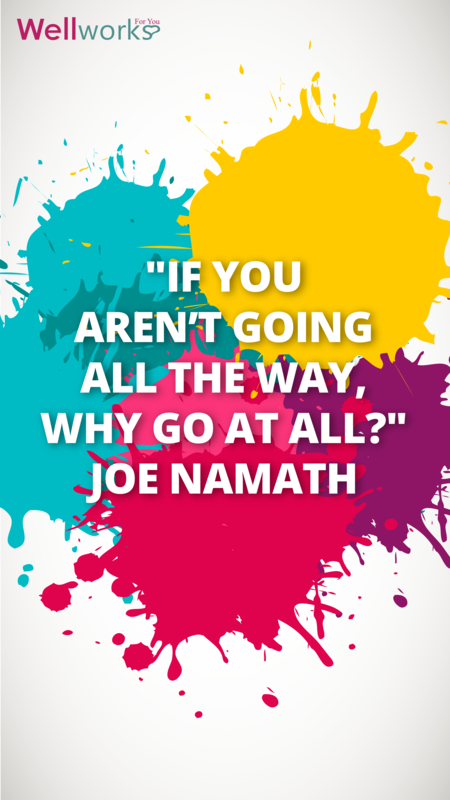 “If you aren’t going all the way, why go at all?” Joe Namath. If you set your mind to it, then do it! And do it right. Have faith in yourself! 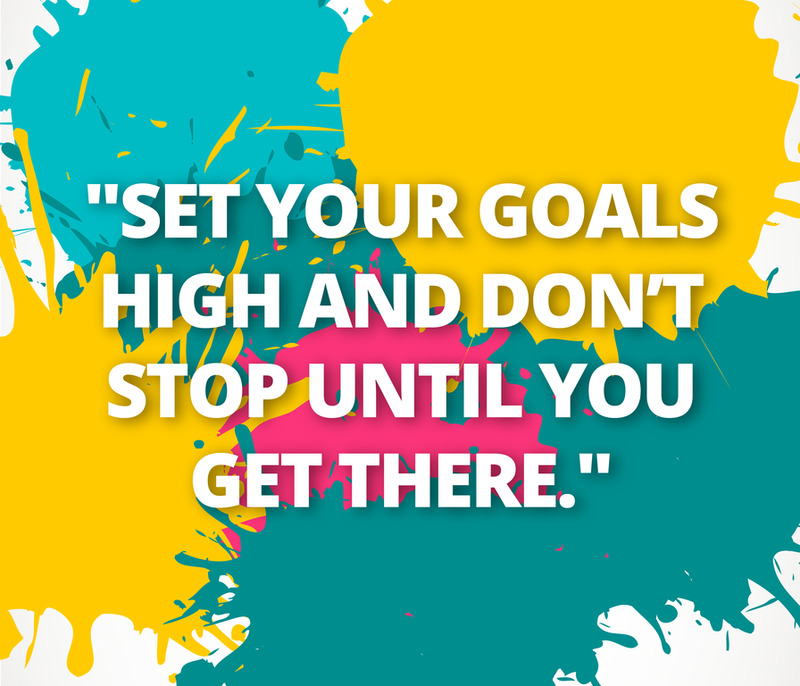 “Set your goals high and don’t stop until you get there.” Bo Jackson. 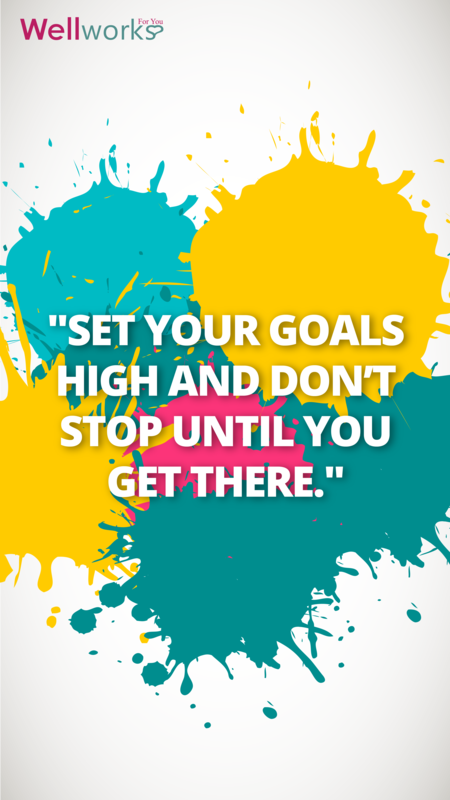 Set your goals (make sure they are attainable goals) and accomplish them. Don’t settle for anything less – do your best and remember, you can do it! Go get ‘em, Tiger! 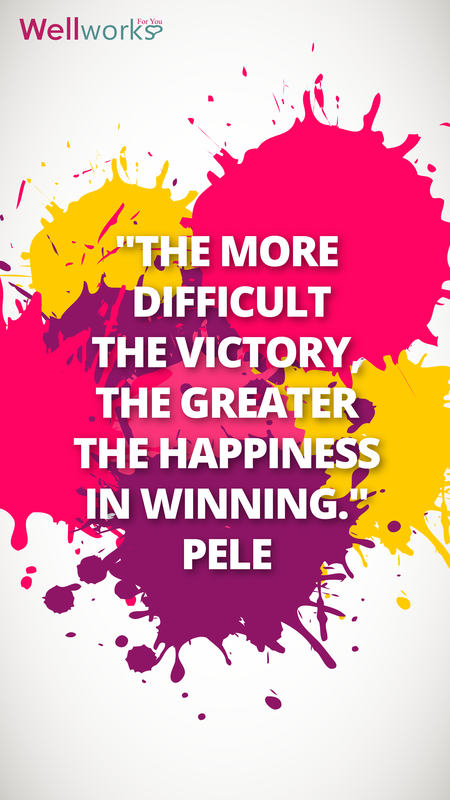 “The more difficult the victory, the greater the happiness in winning.” Pele. Savoring your accomplishments can help you build confidence and give you the momentum to set higher goals! See how high you can go! Need a little more inspiration? Download a smartphone wallpaper, and keep your favorite quote on your mind every time you check your phone! Click the link at the end of each quote to download. Staying healthy is so difficult because it’s a lifestyle change. Everything changes, physically, mentally and emotionally. If you put your mind to it and stick to it then anything is possible. Remember, it only takes 21 days to form a new habit. So let’s get moving and in shape and together we can make the lifestyle change for the better! Get out a pen, write down a goal (we’ll start with just one for now), and choose a start date. Keep the motivational quotes about wellness above on hand for when you need that little push! Need a little extra? Download our smartphone wallpaper collection HERE and keep your favorite quote on your mind every time you check your phone!